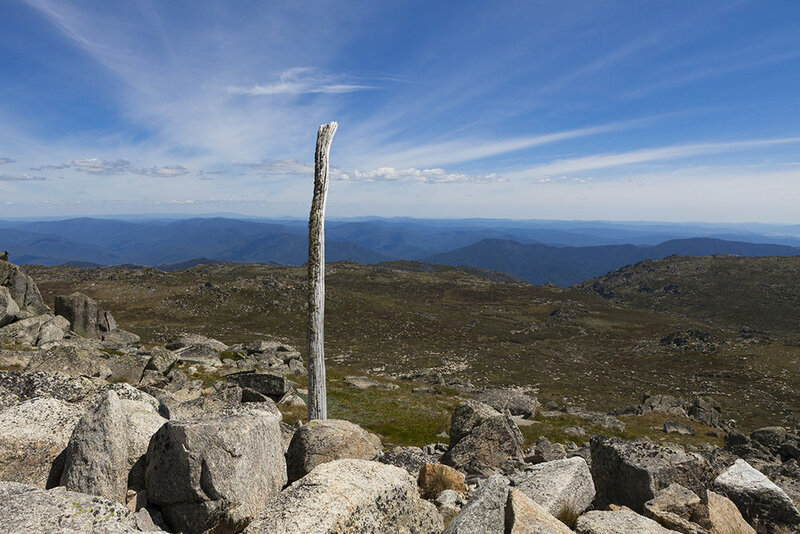 Last Friday we climbed up Australia's tallest peak. 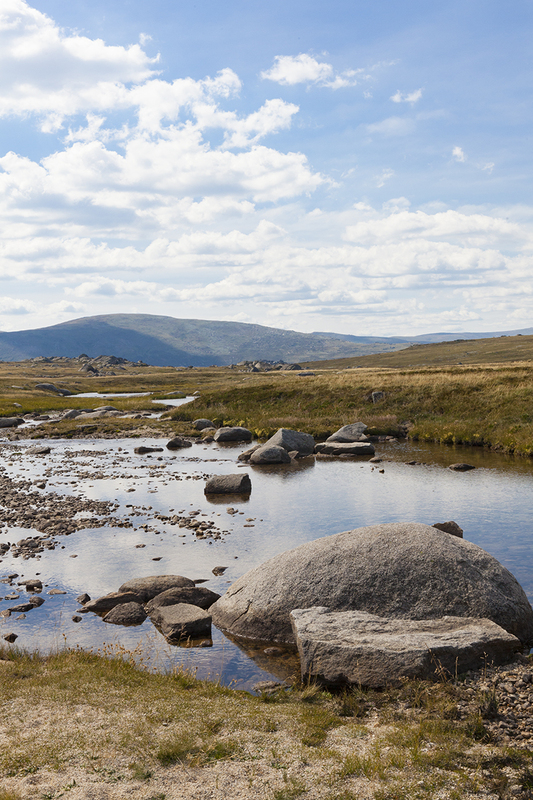 At 2,280m above sea level Mount Kosciuszko is part of the Main Range of the Snowy Mountains in New South Wales. 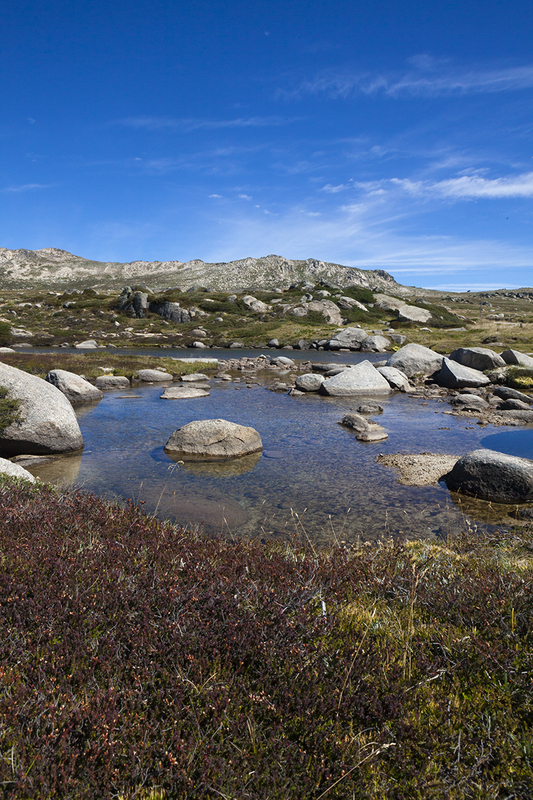 As part of the Australian Alps I had envisioned the Snowy Mountains to be a tall mountain rage with sharp peaks, exposed rock faces and Mt Kosciuszko as the tallest, to stand out among the landscape. 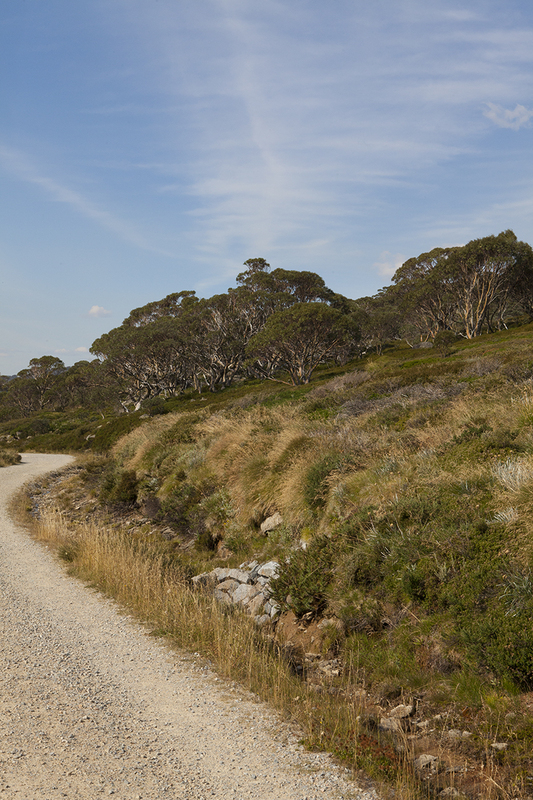 Instead as we drove up through the National Park and past the ghost-town of Perisher the forest began to clear and grassy rolling hills began to emerge. 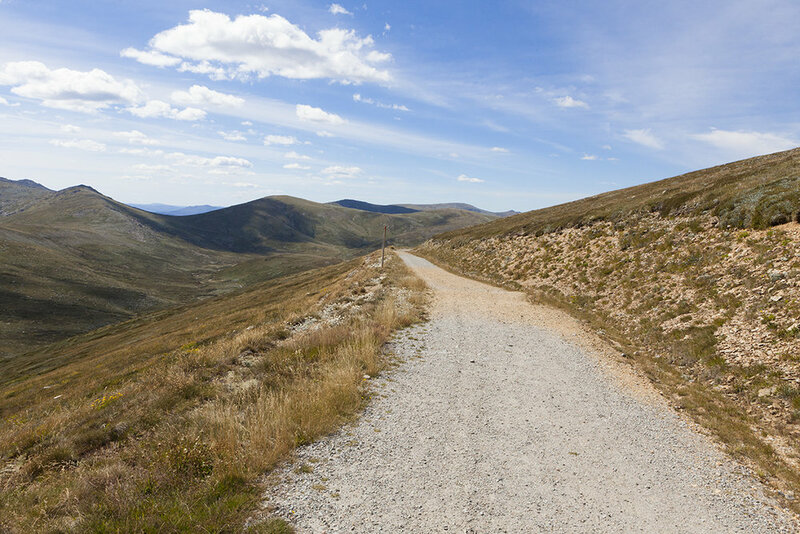 As we drove from Canberra and had to planned to make a day of it, we walked the 18km Summit Track. 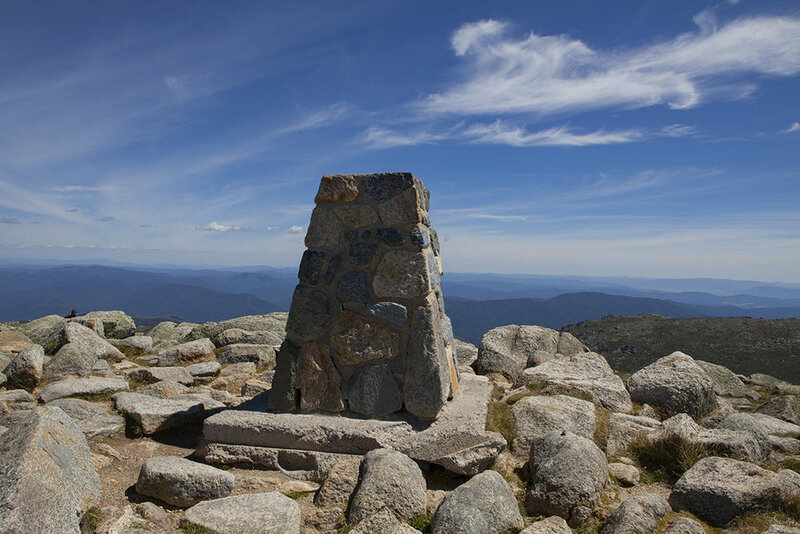 The walk starts at Charlotte's Pass and takes you over the Snowy River, past Seaman's Hut and joins the (easier and shorter) Thredbo Track at Rawsons Pass, from there it's another 1.4km to the summit. 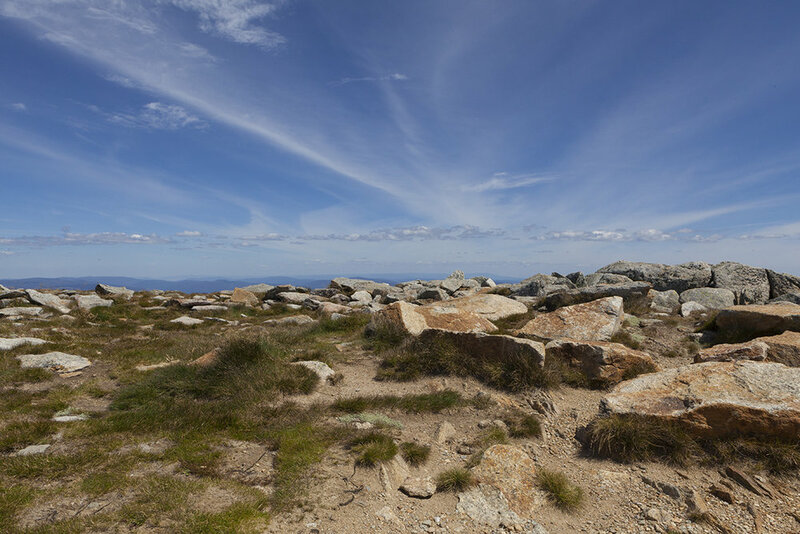 I had also expected the walk to be much harder and steeper, most probably because I had pictured a narrow track with perhaps a scramble. 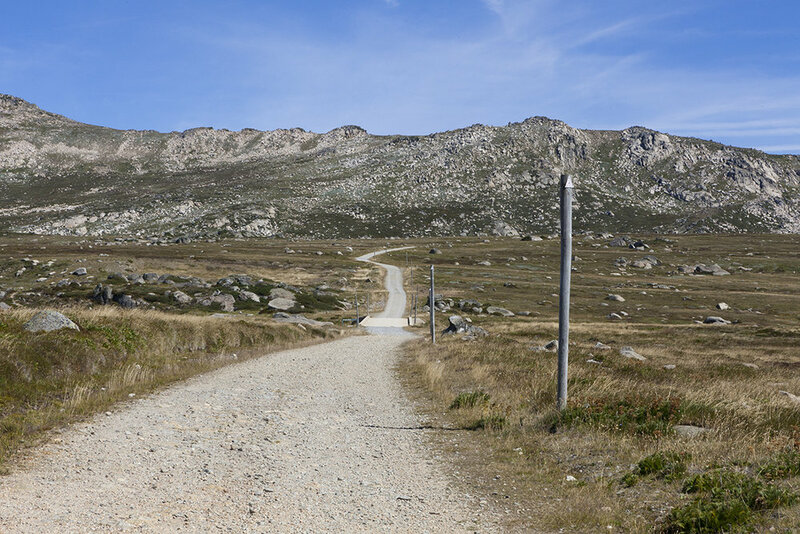 The Summit Track turned out to be the exact opposite, the Grade 3 walk follows a wide, well-maintained old dirt road and slowly winds it's way up the mountain. 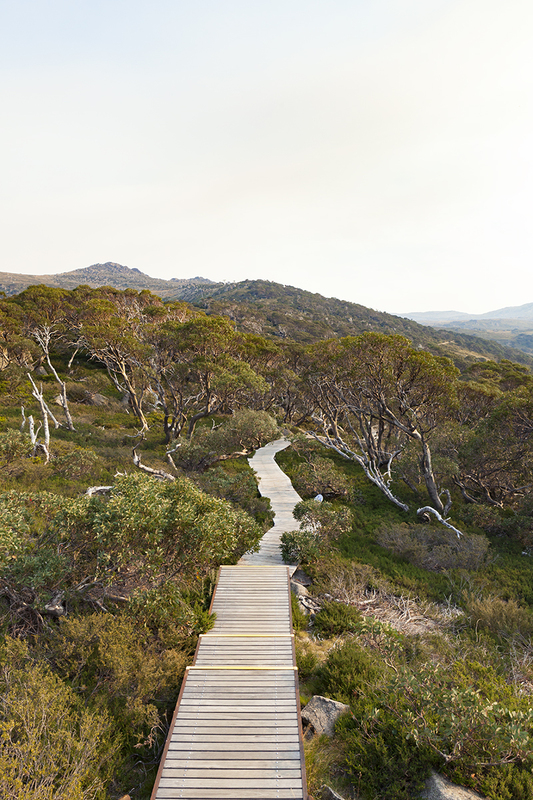 All up we walked about 23-24km as we also walked past Lake Cootapatamba along part of the Thredbo Track. While the landscape what not what I had imagined, it was truly stunning and we luckily had the most beautiful autumn weather. The soft peaks of the mountains formed a smooth and steady borderline across the vibrant blue sky. 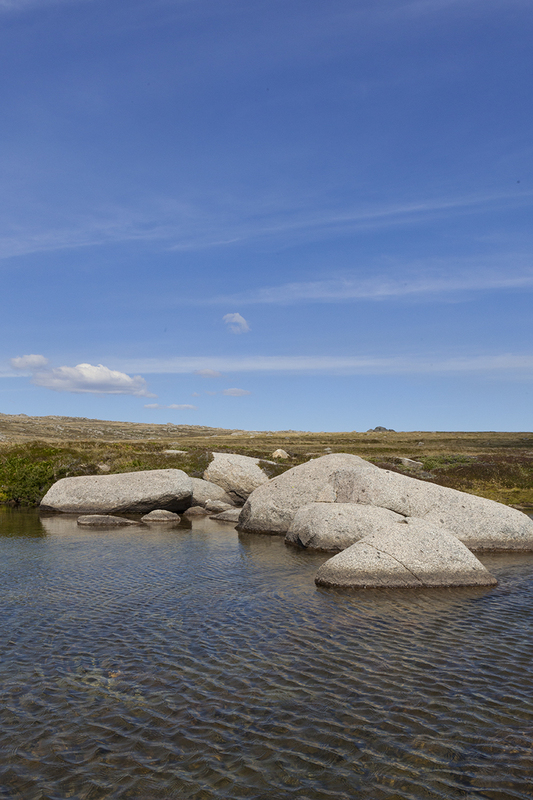 Which was only offset by the occasional small yet jarring rock formation. I was stuck by how sparse and at times vast the environment was. 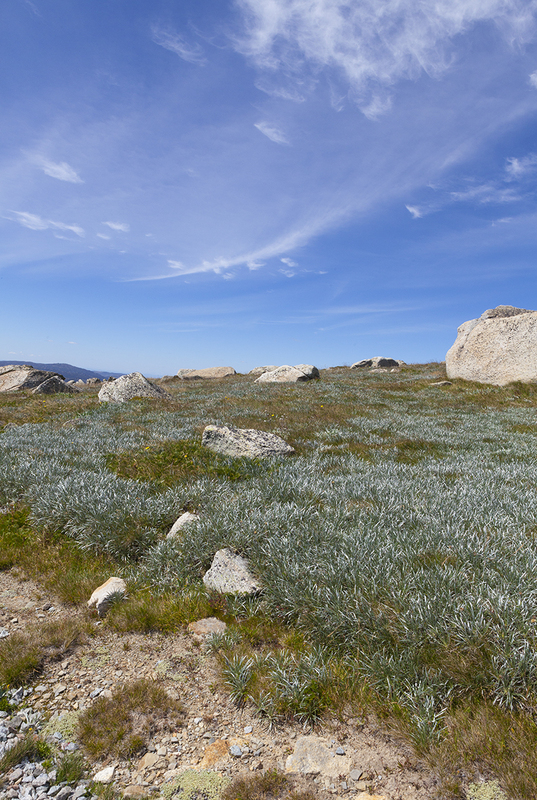 After the first 2km the iconic Snow Gums stopped almost abruptly and gave way to yellow grasslands dotted with wildflowers, low lying shrubs and rocks that looked like they had slowed rolled their way down the hills. 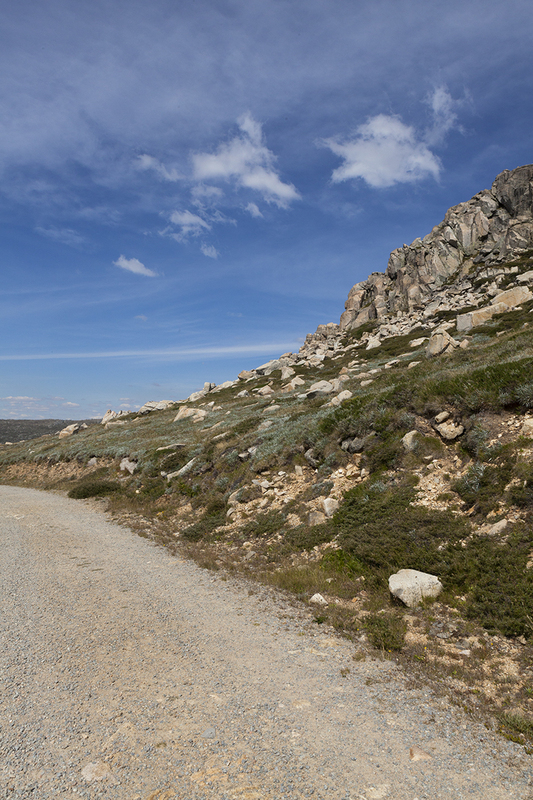 Given the vastness of the grassland and the number of kangaroos along the highway from Canberra, I had thought the area would be populated with kangaroos and wallabies. Again, turns out I was wrong (surprise), apparently it gets too cold and only a select few smaller marsupials live up in the alps. 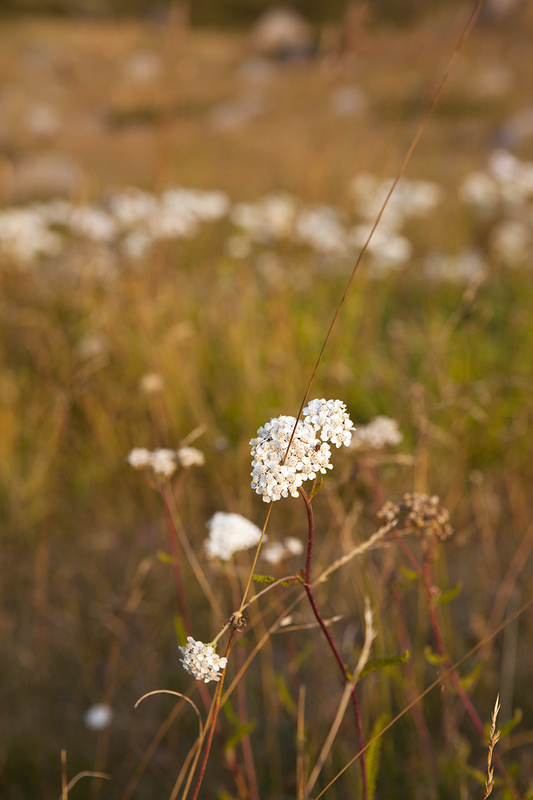 As a result and because we took the less populated walk, all we could hear was the rustle of the grass in the wind and hum of insets. (I think we only sighted about 4 birds the whole day as well). As we wound our way up the mountain the wind ripped around the more exposed faces and given the altitude was bitingly cold even on a warmer day at the beginning of autumn. I would love to go back to explore more of the park and visit for a snow season one year to see the dramatic change to the landscape the winter months would bring. 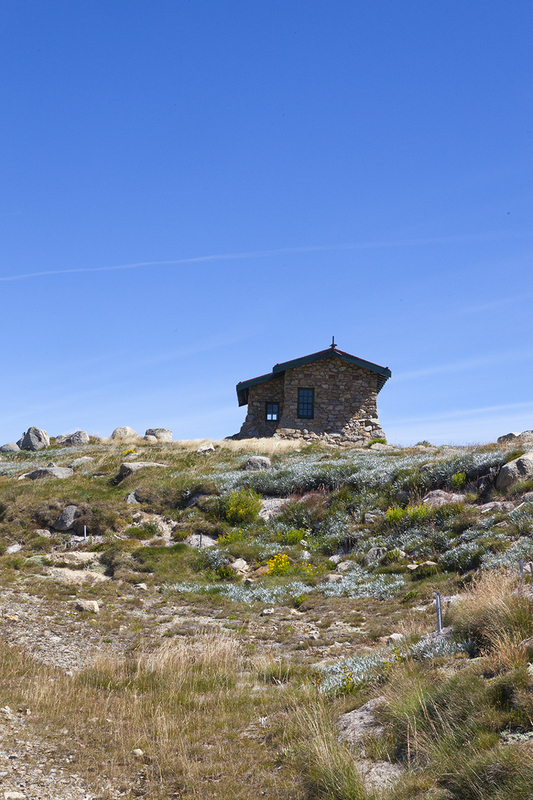 To access the park in the non-snow season is $17 per vehicle and the entry is along Mt Kosciuszko Road. It's worth noting that the weather can change quickly, only days after we were there the park experience sleet and torrential rain, while the month before it snowed in summer!